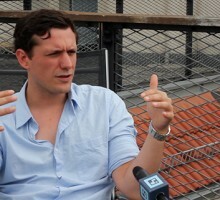 In this Stand Above The Noise video interview, Stewart Walker talks on why musicians are more creators of culture than music nowadays and shows us what a pain a distributor who went bankrupt can bring to a label owner. 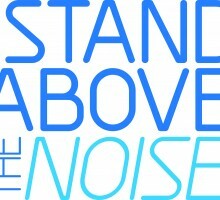 Details about the upcoming second issue of the Stand Above The Noise series, to air live on November 21st, 2012. In this Stand Above The Noise interview, David explained what Soundcloud is actually about, discussed the modern music industry, technology, and practical ways to build your online following as an artist. We are kicking off the Stand Above The Noise interview series this Monday, October 29. You don’t want to miss it, do you? 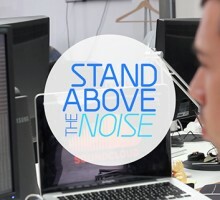 For more than a year the Dotted Music team has been working on a documentary project called Stand Above The Noise. The series is getting ready, watch the official trailer here! 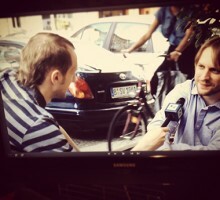 The Dotted Music crew is back from a trip to Berlin, where it was filming a segment of our brand new documentary film. 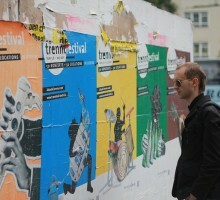 Check out few photos from the filming process!